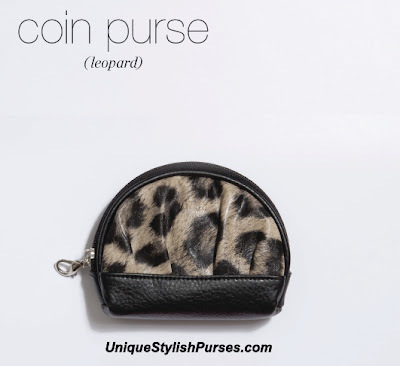 This clever coin purse features black and creamy-taupe leopard print and pebble-grained black detailing. Nylon-lined interior even has a card slot! Zipper closure/silver hardware. Dimensions: 4.75” long x 3.75” high with a 1” gusset.